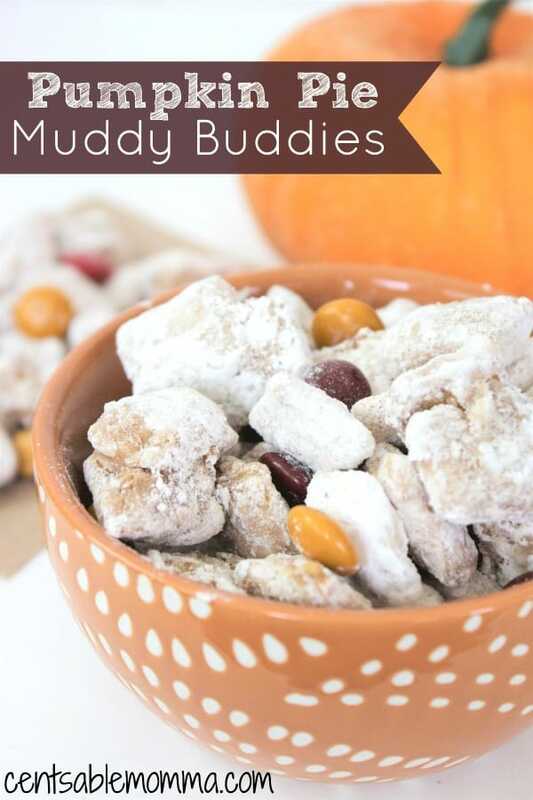 Muddy Buddies are a fun snack to eat, and this Pumpkin Pie Muddy Buddy recipe is all about fall with a mixture of pumpkin puree and pumpkin spice mixed in with the Chex cereal, candy melts, and fall M&M's. It both tastes good and looks cute for a fall themed party! 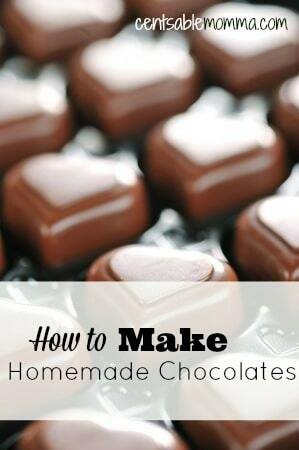 Melt candy chips by microwaving them for 30 seconds, then stirring and repeating until melted. Add Pumpkin and stir to combine. 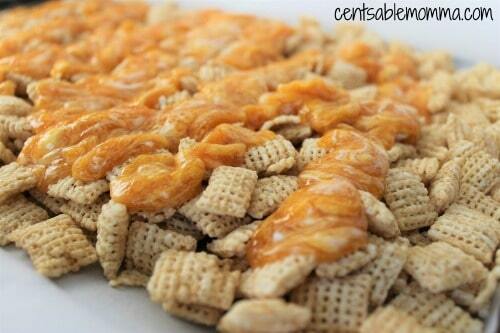 Spread the Chex cereal on lined tray(s) and pour the pumpkin/candy mixture over the cereal. 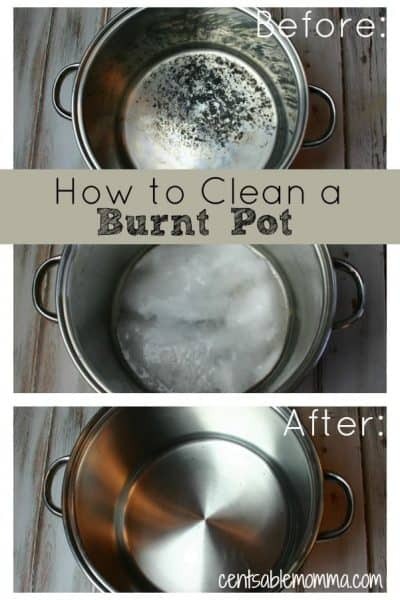 In a bowl add spice to powdered sugar and mix well. Sprinkle the sugar mixture over the cereal and toss to coat well. Leave on tray(s) to dry out for a while. Add M&M's when you transfer the mixture to a serving bowl. Add Pumpkin and stir to combine. 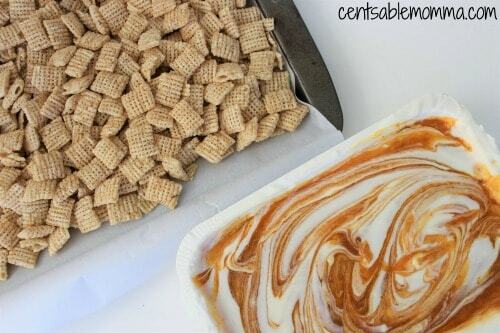 Spread cereal on lined tray(s) and pour mixture over cereal. 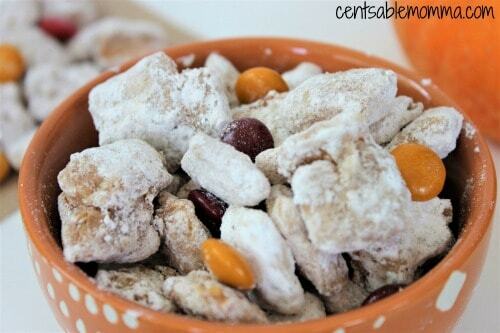 In a bowl add spice to powdered sugar and mix well. Sprinkle sugar mixture over cereal and toss to coat well. 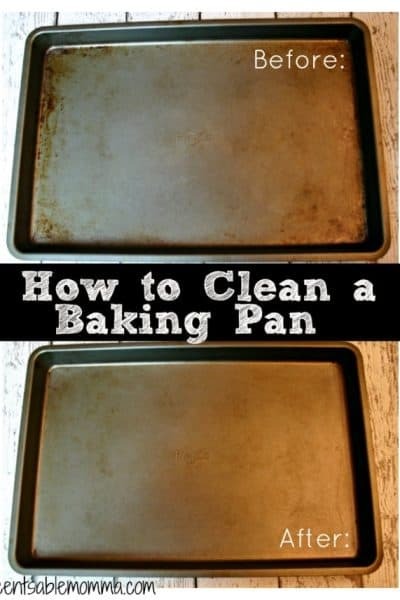 Leave on tray(s) to dry out for a while. Add M&M's when you transfer to a serving bowl.